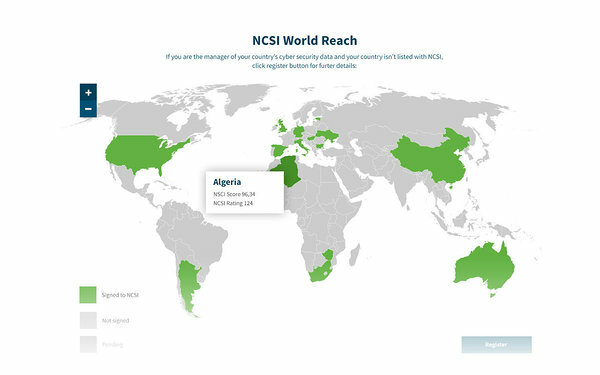 NCSI measures the level of cyber security of countries and defines the fields for the cyber security development. 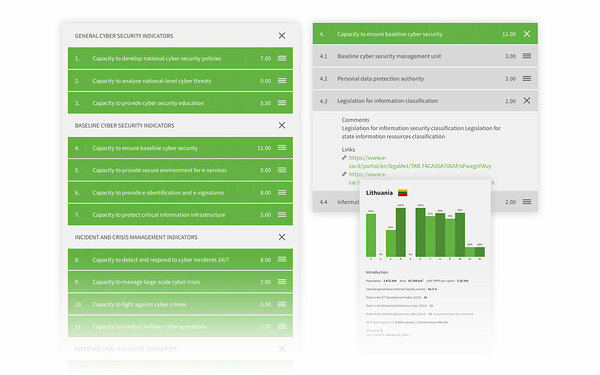 It also gives information of the preparedness of countries to prevent and manage cyber threats. NCSI consists of 12 main indicators, which are divided into four groups: 1) General Cyber Security Indicators, 2) Baseline Cyber Security Indicators, 3) Incident and Crisis Management Indicators, and 4) International Incident Indicators. The 12 main indicators have several sub-indicators and aspects that can be measured in points. The administrator has permanent overview of the new entries as well as the changes that have been made already published country profiles. The index calculates more than a hundred different metrics, which together with the necessary evidence and references are displayed in country profiles. We don’t assume that you know how the web works or what a die is. Just tell us your ideas and plans.